He does not have a booming voice nor a big, bold personality. Neither is he one to blow his own trumpet. In a culture that dictates that great leaders must be extroverted, he is often overlooked and his quiet and introspective nature can be misinterpreted as evidence of being timid and self-doubting. Like other great introverted leaders (Abraham Lincoln, Bill Gates, Charles Schwab, Warren Buffet, Mahatma Ghandi, Eleanor Roosevelt) Atty. Jojo Leviste, president of two environmental start-up companies at age 33, leads with a quiet confidence that inspires his people to pursue innovation and their most creative ideas with optimism, enthusiasm and commitment. Because he tends to listen first before speaking, he grants his people the safe space to nurture their unique ideas and to think out of the box. And that’s all just as well, as the two start-ups he is president of are nontraditional companies where out-of-the-box thinking is premium real estate. ITPI Corp. (Italpinas Euroasian Design and Eco-Development Corporation) is a young but audaciously optimistic property developer that has quickly established itself as the leader of sustainable property development in secondary Philippine cities. Meanwhile, Constellation Energy Corporation (CEC) is leading the country’s much-needed push into renewable energy. Indeed, in a world perched on the brink of environmental destruction — and in a country with environmental issues as knotty and entangled as ours — it takes nothing less than a man of steadfast vision and quiet wisdom to lead the charge into sustainable terrain. It takes someone like Atty. Jojo. True to his being a great introverted leader, “Atty. Jojo thinks before he speaks, and thinks deeply,” notes Janey Duterte, a Kagay-anon blogger who interviewed the young ITPI executive in Cagayan de Oro last November. Indeed, like most introverted leaders in history, Atty. Jojo is a transformative leader who takes the spotlight not because he enjoys it — or relishes wielding power over others — but because he is driven to take charge in order to do what he thinks is right. An unshakable commitment to see his companies succeed stems from this belief in the correctness of his vision. He is committed to turning ITPI developments and CEC projects into models for sustainable developments in the country. As ITPI president, it’s his vision that all the company’s property developments provide more Filipinos access to better and healthier homes and green spaces that can enhance their social relationships and personal growth. Formed in 2009 by Atty. Jojo and his partner, Italian architect Romolo V. Nati, ITPI focuses on property developments that incorporate sustainable architecture design, best-in-class passive cooling technologies and onsite production of energy from an appropriate renewable source. Architect Nati is the executive chairman and CEO of ITPI. Primavera Residences, the 10-storey, twin-tower, mixed-use condominium complex in uptown Cagayan de Oro is ITPI first project, but it is set to develop at least US$200 million worth of projects within the next six years in Cagayan de Oro and other cities across the country. 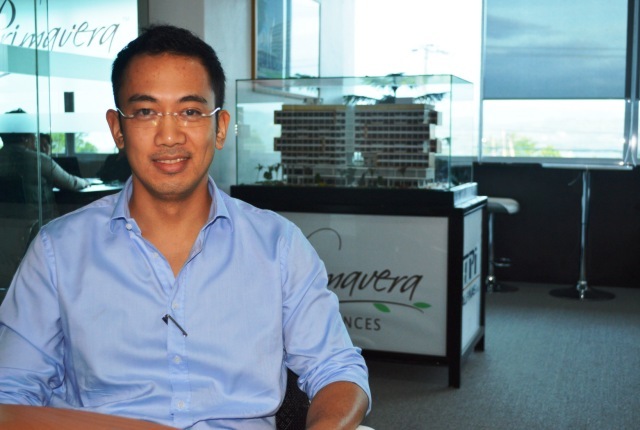 “Developments like our Primavera Residences that feature best-in-class passive building technology and on-site active production of energy from renewable sources should be the norm — rather than the exception — in a climate-change challenged world,” he often says. “Atty. Jojo is determined to see ITPI lead in terms of forward-thinking designs and clever initiatives, and in being able to offer a snapshot of what should be in terms of accessible buildings and smart designs,” Duterte writes in her blog. In fact, while he acknowledges that ITPI is still a young player in the industry, he is adamant that “ideas can travel upwards and influence the bigger players in the field,” she writes. As for CEC, it is knee-deep in projects involving renewable energy. These include a couple of hydro plants, one geothermal, and one wind energy project being put up in four different sites in the country. And from where does Atty. get this wisdom and steadfastness of vision that belies his age? This is probably why Atty. Jojo doesn’t isn’t a fast talker, but “he’s intelligent, articulate, well-informed and thoroughly engaging,” observes blogger Duterte. And that’s a common observation by people who have worked or studied with Atty. Jojo. He’s not an architect, but you’ve probably seen him in one of ANC’s Future Perfect’s segments discussing typhoon-adaptable shelters and the design, structure and location combination that makes buildings capable of surviving extreme weather conditions. What’s more, “he’s really the strategist behind ITPI, the guy who can take us from point A to point B after the vision-setting is done,” says his partner Arch. Nati. The ITPI president can do this because, like all great introverted leaders, he likes to prepare. When giving presentations, speaking to their teams, or networking with clients, introverts don’t tend to just wing it, explains Jennifer Kahnweiler in her book The Introverted Leader: Building on Your Quiet Strength and Quiet Influence. According to her, introverts spent time thinking through their goals — and in the end, this is what gives them the edge. “Atty. Jojo prepared rigorously for his guesting with ANC’s Future Perfect on Nov. 13, 2013, where he spoke on typhoon-adaptable shelters right after super typhoon Yolanda wreaked havoc on Central Philippines,” recalls ITPI’s VP for Communication and Branding Michelle Ciriacruz. Indeed, it is this propensity to prepare that makes introverts much less likely to make outrageous mistakes and to ultimately deliver better outcomes, say management experts interviewed by Forbes magazine. Which is why Atty. Jojo is really quite the quiet achiever at his age. After graduating with honors from a Social Sciences degree at the Ateneo de Manila University, he moved to Australia to study law at the University of New South Wales. Within seven years, he completed his law studies with a diploma in Legal Practice, then went on to become an Associate Lawyer at an Australian firm and an analyst in the Australian minerals industry. But his sense of purpose drew him back to the Philippines, at age 28, to start two environmental startups. But, when asked why did you return to the Philippines?, Atty. Jojo’s answer is uncomplicated and, true to form to his being an introvert — “(a man) who (does) not offend by superiority,” as the writer Ralph Waldo Emerson says — is modest and unassuming. “I returned to the Philippines because a lot of interesting things seem to happen here,” he tells Duterte in an interview. Because he practices engaged listening, he knows what’s going on with his employees, and he understands their concerns, Pangilinan adds. “Atty. Jojo is really concerned about our lives, aside from our performance at work,” says ITPI CFO Harold Dacumos. “He demonstrates accountability for our development as people,” says Andi Ramos, the company’s VP for Administration. “He exudes calm. Being low-key, in times of crisis, he projects a reassuring, calm confidence. He speaks softly and slowly regardless of the heat of the conversation or the circumstance,” says Lorenz Ziller, Chairman of Multiplata Investment Group, an ITPI sales partner. Introverts, in fact, are able to manage proactive employees better than extroverts because they are much more likely to allow these types of employees run with their ideas, say author Cain in a TED speech, quoting studies by the Wharton School of the University of Pennsylvania. In contrast, extroverts may get so excited over things that they inadvertently put their stamp on things, disallowing others’ ideas from bubbling to the surface, she says. And what, exactly, does this introverted leader like to do during his spare time? True to form, when he’s not converting his free time into playtime with his 1 1/2 —year old daughter or quality time with his wife, the young executive prefers to … read. He reads a variety of works, but recently, he’s been devouring books written by Nigerian authors, he tells blogger Duterte in an interview. 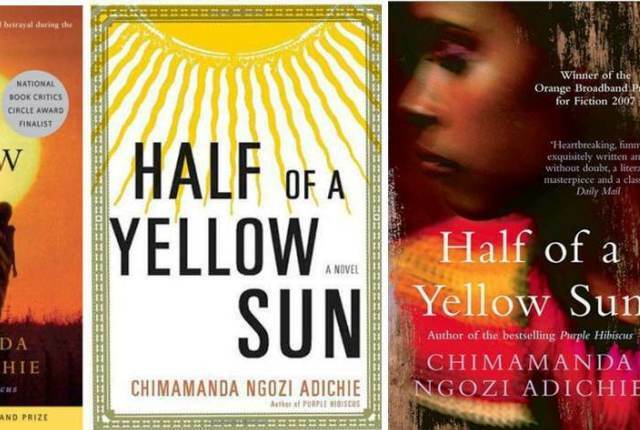 When asked, Why Nigerian authors? Atty. Jojo says he likes to delve into the minds of authors who write from a Filipino-like reality and to read their thoughts and stories about leaving — then returning to — their home countries. ‘I think you travel to search and you come back home to find yourself there.’ Atty. Jojo quotes one of the authors he is reading now, Chimamanda Ngozi Adichie. Like all notable introverted leader, he draws energy from strong inner life and wisdom from the written word. With such a man of quiet strength and steadfast commitment as President of ITPI and CEC, the two sustainability startups are surely bound to succeed.